Start building an epic world of Hot Wheels tracks or add on to an existingtrack set. This impressive kit is a great way to start your Track Buildercollection! Many of the items in this kit have more than one use, so kids cankeep their imaginations--and their tracks--growing with a series of nearlyendless configurations. Best of all, the utility handle can be used as a hookfor a gravity drop or to hold all the components in the kit together forsimple storage and easy portability. 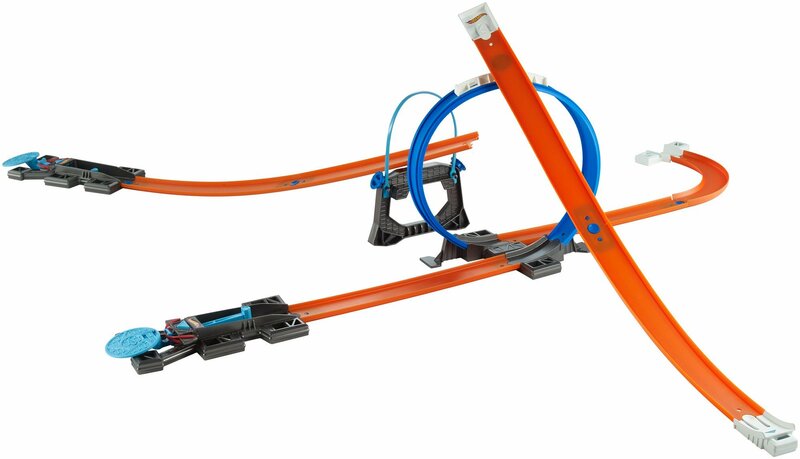 The Track Builder Starter kit comes withpieces of orange track, a split loop, ramps, launchers with connection pointsand underneath, two 90-degree track turns, multiple connectors and much more!Includes one Hot Wheels vehicle so the racing fun starts straight out of thebox. Not for use with some Hot Wheels vehicles. Each sold separately, subjectto availability. Colors and decorations may vary.